On Saturday let’s hike together…Stavropeda-Aladou-Sasa-Pahachradou Monastery ! Combine fun with a little light conservation work! Beach Cleanup in Ateni and our Beach-Art ! 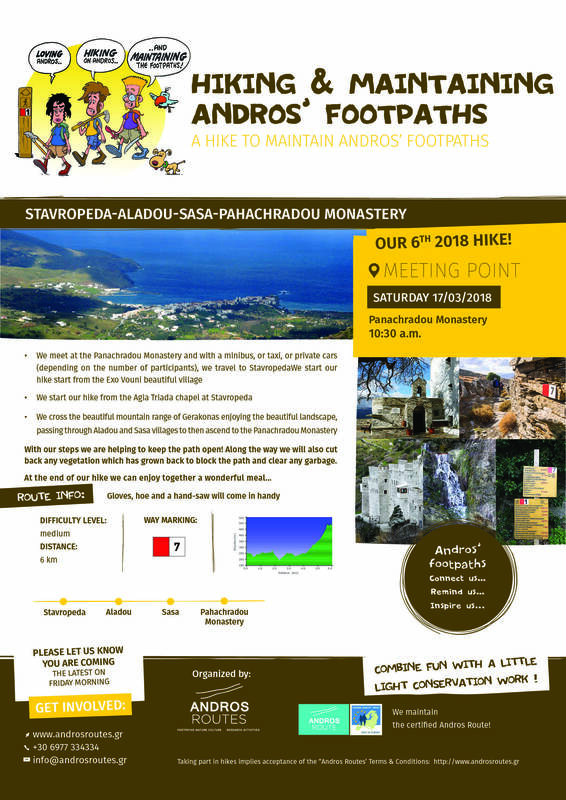 Maintenance Hike from Stavropeda to the Panachrantos Monastery !